Since its inception in 1998, Submit Express has helped thousands of companies with their search engine marketing (SEM) needs, from search engine submission to search engine optimization (SEO). To date, Submit Express has provided SEO service to over 5,000 companies and premium search engine submission service to over 25,000 companies. In addition, our site's free submission and webmaster tools section is one of the top destinations in the SEO industry, with over 20 million visitors to date. 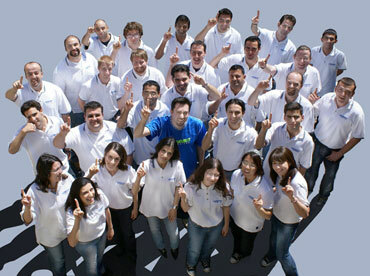 Submit Express was named the Top Search Optimization Firm in 2009 by Website Magazine. The company has also been ranked in the Inc. 5,000 as one of the fastest-growing private companies in the U.S. for three consecutive years (2007-2009), and was also named to the Deloitte Technology Fast 500 as one of the fastest-growing technology companies in North America in 2008 and 2009. The Los Angeles Business Journal and San Fernando Valley Business Journal have also listed Submit Express as one of the fastest-growing private companies in their respective regions. Submit Express is dedicated to helping businesses achieve higher rankings in the major search engines and directories through consultation, keyword research, content writing, optimization, link building, article writing, social media optimization (SMO) and submissions. Our staff members are highly experienced in website development, copy writing, project management, Internet marketing and search engine placement strategies. Submit Express also offers Pay-Per-Click (PPC) advertising and Opt-in Email Advertising. Submit Express launched its company newsletters in January of 1999. Our monthly newsletter has over 500,000 subscribers. Monthly topics include search engine news, submission tips and tricks, and resources for doing business on the Internet. In 2009, Submit Express launched iClimber to offer premium content writing and social media marketing services. Visit www.iclimber.com for more details.